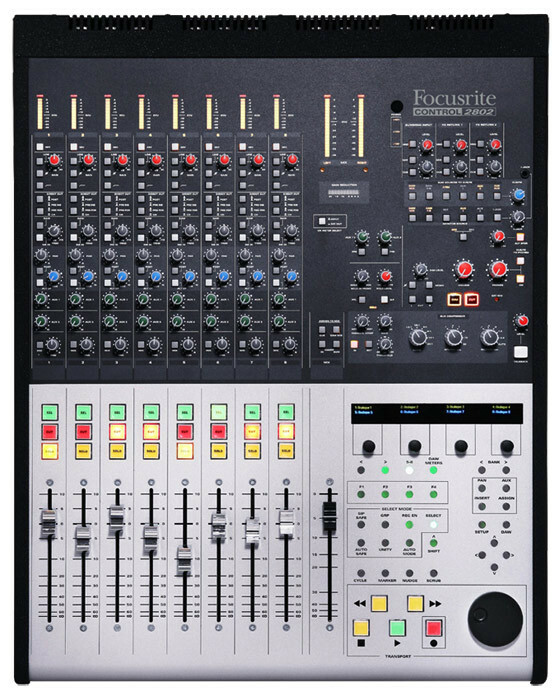 mrjason's review"made like big ssl boards"
The Focusrite Control 2802 is an analog DAW control surface, it has 9 well made faders and enough knobs to give you full control over each individual channel. This DAW controller is very expensive but worth every penny. It is built to last a long time and has metal castings. It looks sleek and stylish and every knob is color coded which makes it easy to remember which knobs edit certain parameters. With this control surface being an analog mixer and a DAW control you are getting the best of both worlds. This control surface is pretty big, making it not very portable so you will need to make sure you have the workspace available to house it and make sure that you don’t plan on moving it around a lot because of the cost of it and its size. 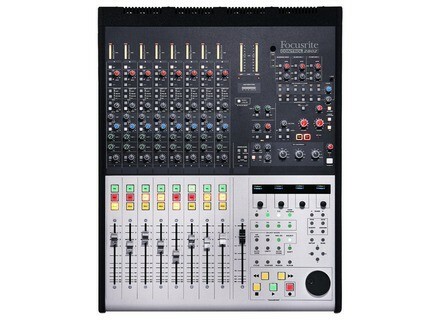 It has 10 channel meters that all are LED and 100mm motorized faders. This board is very similar to an SSL board because of its quality and motorized faders. One of the first things you will noticed just when using this console is that the sound you will get is just so much cleaner than when you are not using it. Your drums mainly will sound even better especially when you get into using the compressors. This console is made very well; the knobs are very heavy duty like the ones that are on big Pro Tools boards. It does come with a manual and you will need to take a look at it in order to understand how to fully understand the functions of the Control 2802. Even if you have used an SSL it will be good to look at the manual so you will understand everything fully. The compressor is unreal, it will give you a nice and clean sound and it will work amazing wonders on your drum patterns/tracks. I highly suggest using this board if it is in your budget.